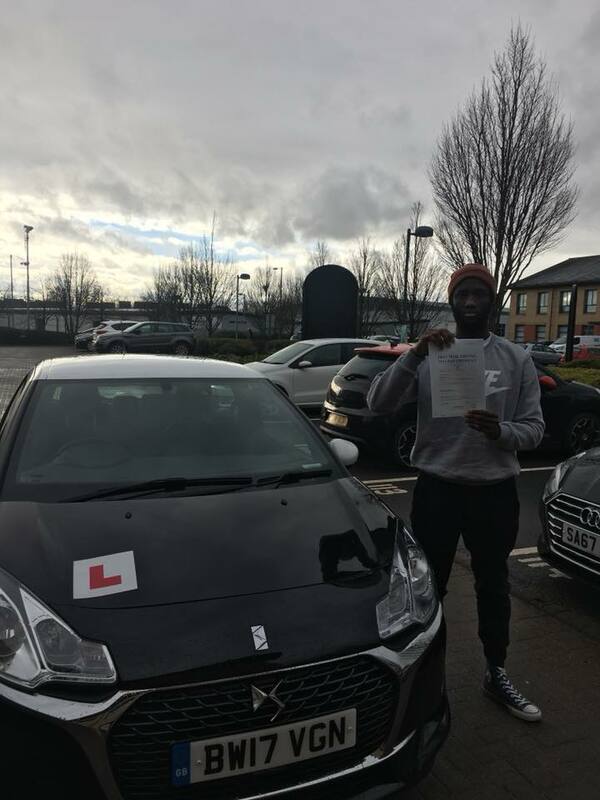 Congratulations to Mo Sidibeh who passed his driving test first time this morning at Glasgow Baillieston Driving Test Centre. Mo would’ve passed months ago if he hadn’t been unlucky enough to have two test cancelled because of snow and ice, so you can imagine how thrilled we both were when it started snowing an hour before Mo’s test! Well done Mo, see you on the road!